68 rooms including 2 signature suites. Welcome. Cots and family rooms available. Complimentary room upgrade subject to availably and a bottle of cava. Complimentary room upgrade subject to availability and a bottle cava. Complete the enquiry form : Click send for an immediate reply from the hotel. 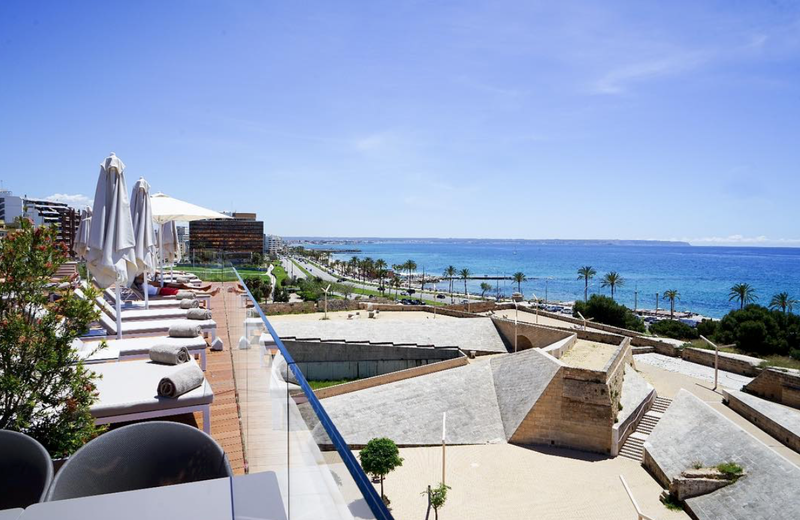 The stylish new sea – facing Hotel Es Princep has a unique location. 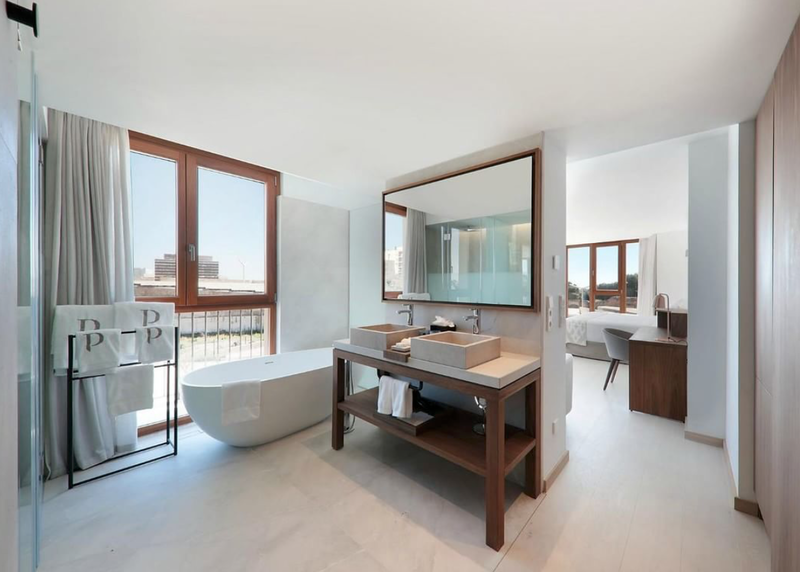 This latest addition to Palma´s portfolio of luxury hotels is named after Baluard Es Princep, (baluard meaning bastion) the iconic bastion fortification on the ancient walls of Palma, located just a few metres away. 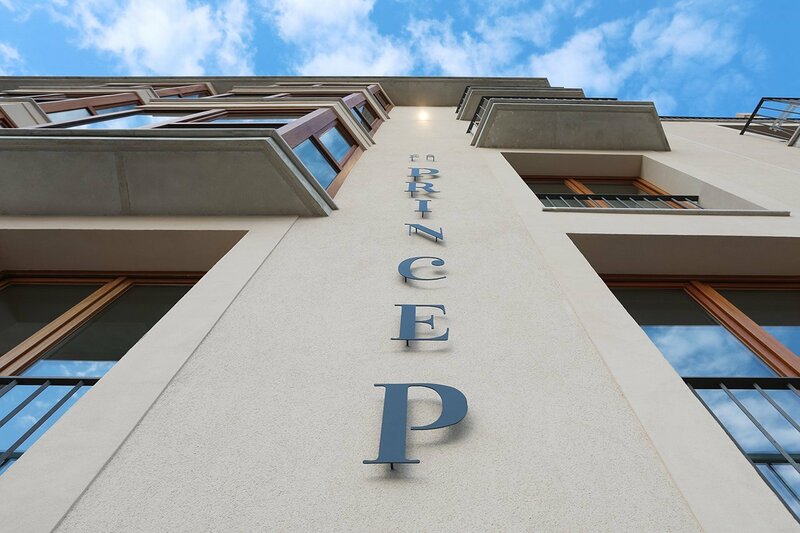 Privately owned by a Mallorcan family with a long history of hospitality, Es Princep sits proudly in this neighbourhood with panoramic views over the Bay of Palma from its higher floors. This is the capital’s first ‘Leading Hotels of the World’ property offering exceptional luxury and setting a high standard of service. With its pale brick facade Es Princep blends perfectly with the stonework of the ancient city walls, a tangible reminder of the long history of this beautiful Mediterranean city. 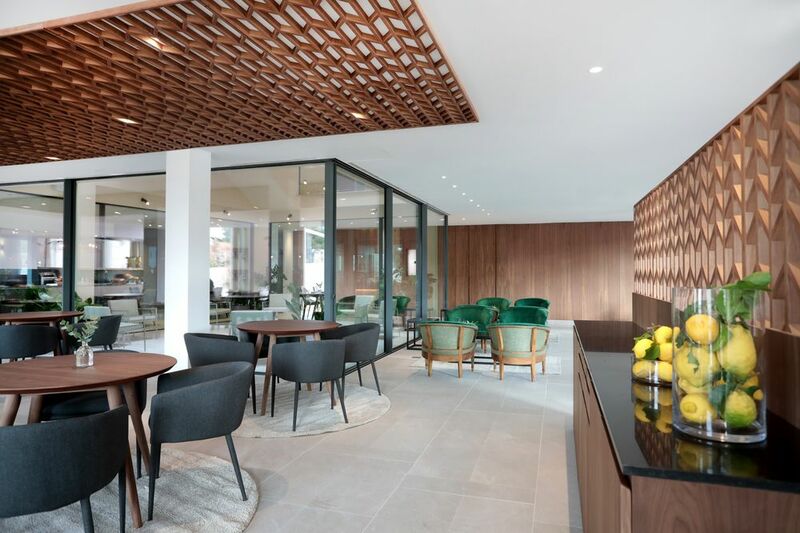 Step into the light and bright open-plan lobby which houses a small lounge with huge sofas, Mura restaurant and the reception area where you will be greeted by smiling and welcoming staff. Es Princep is a purpose built new hotel and one of the only allowed within the city walls so architect Elías Torres has worked tirelessly to compliment Palma´s architectural history by using local materials and including elements such as the enclosed glass patio that you would expect to find in many of the old houses in Palma. The bedrooms which are set over four floors comprise standard, superior, premium and suites. All the bedrooms are elegant and luxurious offering contemporary hues of white and beige, contemporary art and dark wood furniture and flooring. Sea views can be enjoyed from all bedrooms, though some have a partial view. Some rooms have small balconies while corner rooms 115, 312 and 412 offer breathtaking seascapes and would definitely be worth upgrading to for the low season traveler. Plunge into one of their two pools , the heated roof top spa pool with loungers open year round or the indoor subterranean 18-metre pool with whirlpool tub, in the Cocô Oasis Spa area, which has a dry salt cabin, Turkish bath and sauna, as well as a fully equipped gym and treatment rooms. 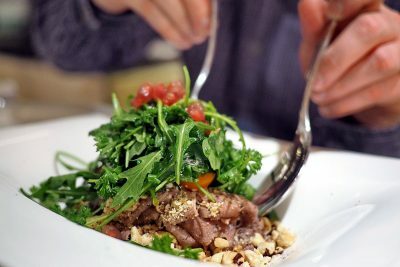 There are three restaurants to choose from, one of them headed up by Michelin-Star Chef Andreu Genestra. 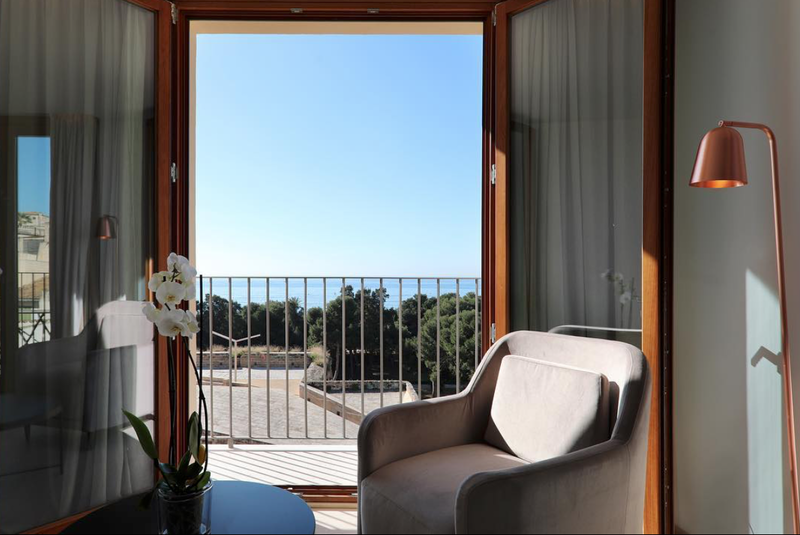 This sea-facing boutique hotel in the historic heart of Palma de Mallorca provides a perfect base for exploring the city and the island. The owners of the hotel are very much hands on. And with decades of hospitality and several hotels under their belt, they know a thing or two about service. But what the Mairata family bring is Spanish hospitality at its best. Not just what you expect of a five star hotel but by training their staff to welcome guests as they would to their own home. This is the essence of what you will enjoy – `our home is your home´. 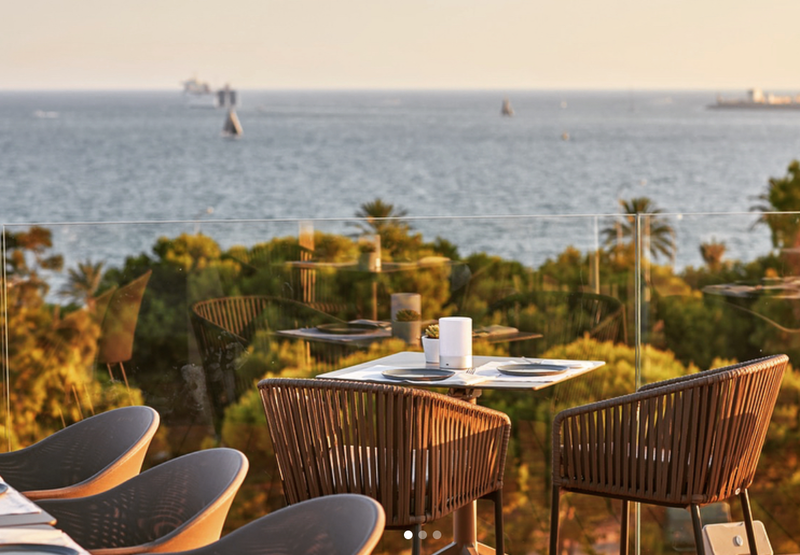 The sweeping views of the Bay of Palma from the roof terrace that can be enjoyed from the luxury of your sun lounger or at your table at Mediterranean inspired Almaq restaurant. 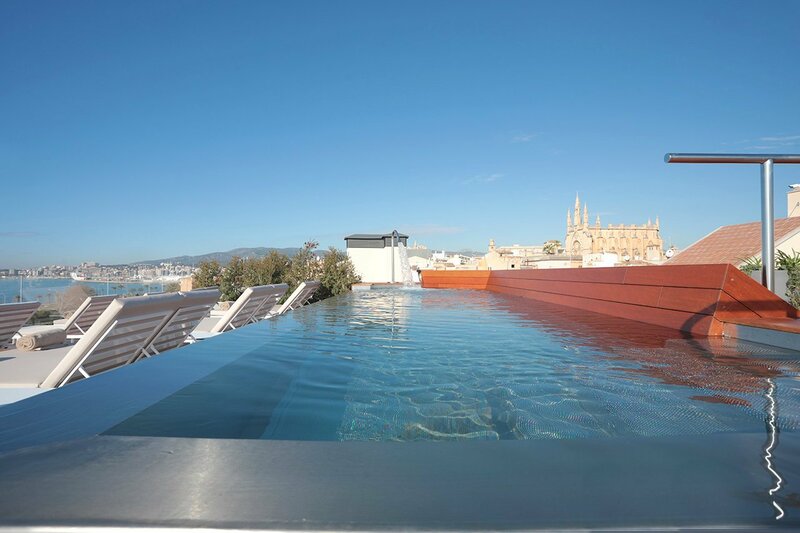 Boasting one of the largest roof terraces in old town, you can enjoy a unique panorama of sea, cathedral spires and Tramuntana mountains beyond. 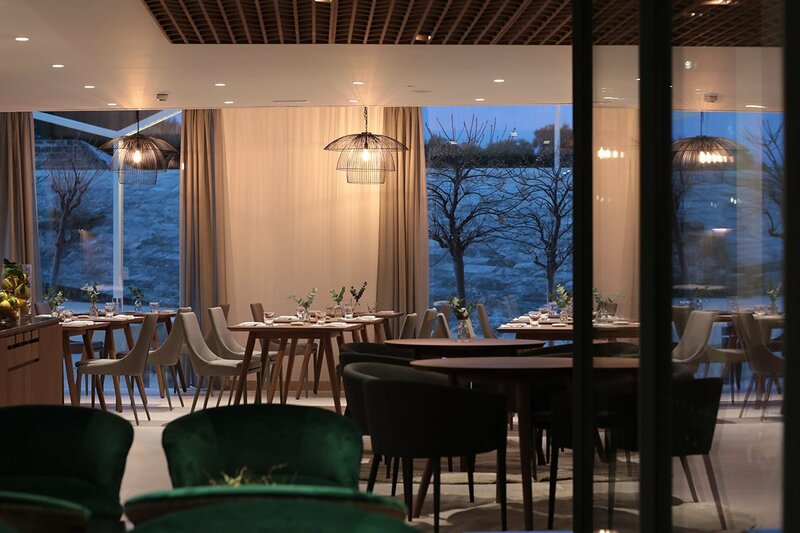 There are three restaurants, Mura on the ground floor, Almaq on the rooftop and the hotel´s signature restaurant Bala Roja (named after the hotel’s historic district, overlooking the city walls) is overseen by Michelin star chef Andrea Genestra. Breakfast, which you can choose to be included in the room price, is served in Mura from 7.00am -11.00 am. You can enjoy a delicious hot and cold buffet breakfast. Mura also serves a Menu del Diá - 3 courses for €19.50. Cocktails are served in the sumptuous Gremium bar with a terrace overlooking the Baluard.